As part of the 3 Rivers Clean Up the Nature’s Gym volunteers cleared part of the River Ravensbourne in Beckenham Place Park. 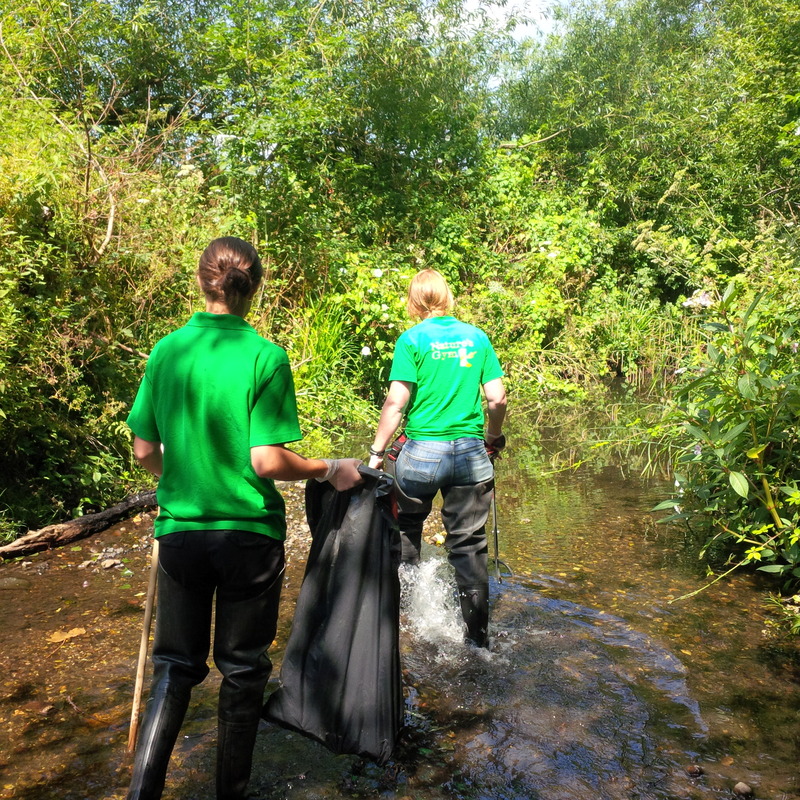 Their work involved picking up litter and pulling up Himalayan Balsam. Himalayan Balsam is one of a number of invasive species that you can find along our rivers. This one however is easy to treat with willing volunteers! There is something quite special about wading in a river while dappled sunlight dances across the water! When you are down there you really would not guess that you are in an inner London Borough. Along with a number of other local groups we run lots of rivers sessions throughout the year. This doesn’t always involved pulling Balsam, but if this is something that you would like to get involved in, please visit our Friends at the Rivers and People blog. The video below, filmed with Tom Morgan of Wiltshire Wildlife Trust hows how to remove Himalayan balsam late in the season where it has been allowed to set seed. Himalayan balsam, a weed, is popular with bee keepers due to its high nectar content and late season flowering. However, research has shown it to negatively impact on native invertebrate abundance. The British Beekeepers Association advise that the plant is removed BEFORE it sets seed.